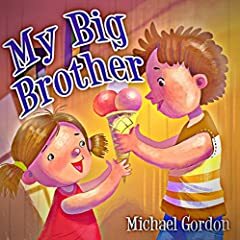 There’s Nothing Quite Like A Sibling Bond Written in beautiful rhyme this is an excellent story that values patience, acceptance and bond between a big brother and his baby sister. Our main hero is a big brother who takes care of his little sister Kate. He is a perfect example of little gentlemen that adores his younger sister and does everything to make her happy. They play games, share toys and delicious food, and even read books. As long as they have each other, they can get through anything. You and your kids will love this childrens book...grab it now while it's still available at this discounted price.